Sun There are 21 items. 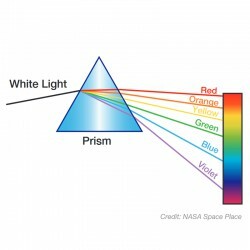 Infrared light is all around us, but we can't see it with our own eyes! 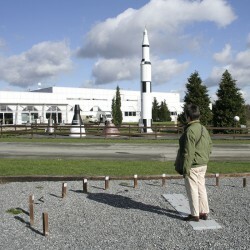 Participants use digital cameras to discover infrared light sources. Participants look at the "fingerprints" of different light sources using spectroscopes. 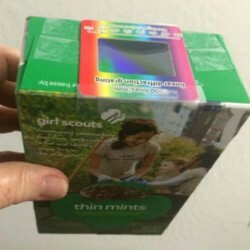 Celebrate the contributions of women astronomers and make your own spectrometer using a cookie or cereal box and diffraction grating slides. 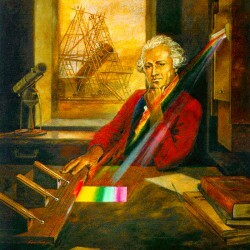 Learn how to track the Sun using only a stick! 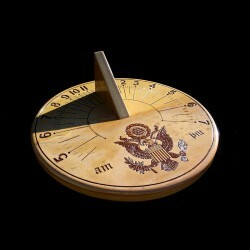 Then, print out Sun clocks and experiment placing them in the correct position. 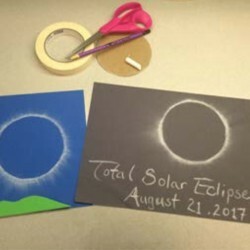 Use a circular template and chalk to create your very own eclipse art! 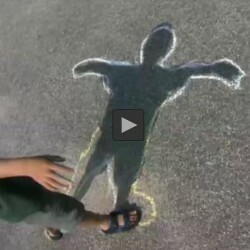 Participants create and trace their shadows indoors and on the playground. Participants trace shadows of playground equipment, then visit their tracings a few minutes later to discover how they've changed. 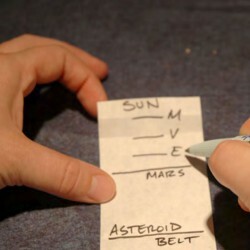 Using a strip of paper, patrons construct a quick scale model of the distances between the objects of our solar system.